When: Thursday, October 23rd at 7:30 p.m. 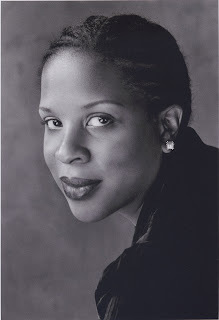 Award-winning African American novelist and author of Leaving Atlanta and The Untelling, will be reading from her work in the Great Plains Art Museum on October 23rd at 7:30 p.m. Her books will be available for purchase at the event, and a booksigning will follow the reading. This event is sponsored by the UNL department of English-Creative Writing and Ethnic Studies. Jones's novel Leaving Atlanta received the Hurston/Wright Award for Debut Fiction, was named "Novel of the Year" by Atlanta Magazine, "Best Southern Novel of the Year" by Creative Loafing Atlanta. Her second novel, The Untelling, was awarded the Lillian C. Smith Award for New Voices by The Southern Regional Council and the University of Georgia Libraries. She has been awarded a slew of fellowships from organizations across the country. Information gathered from UNL Press Release and www.TayariJones.com. Photo copyright Richard Powers, from www.TayariJones.com.